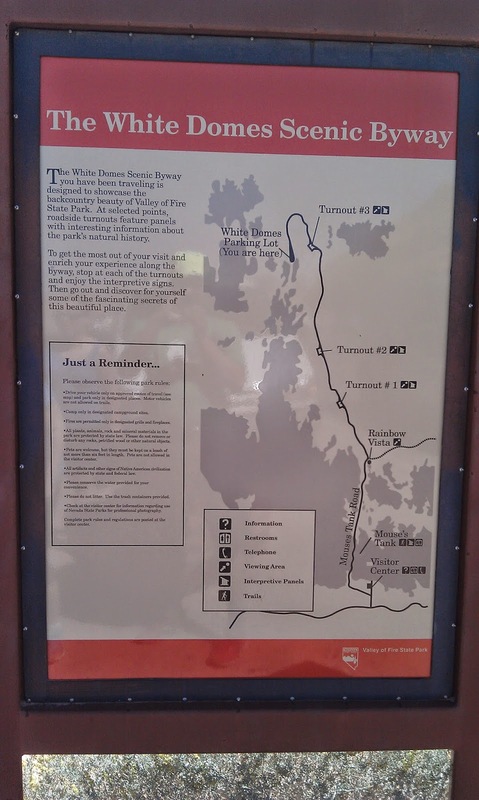 At the far north end of the park is probably the prettiest trail and most interesting trail called the White Domes trail. 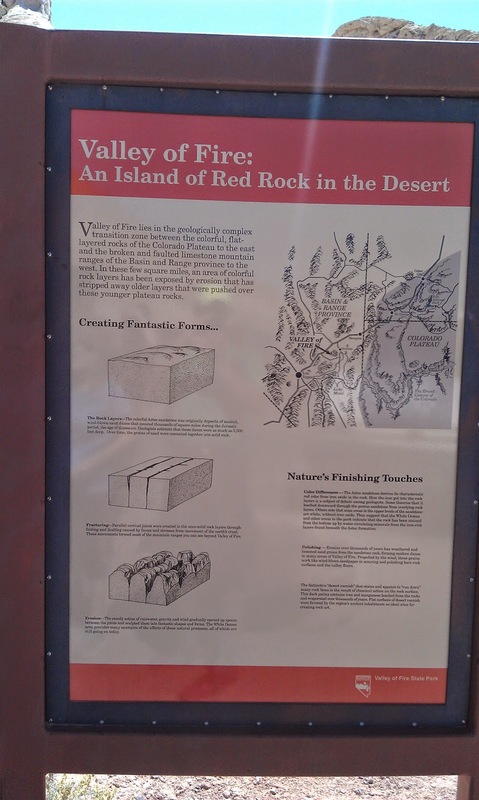 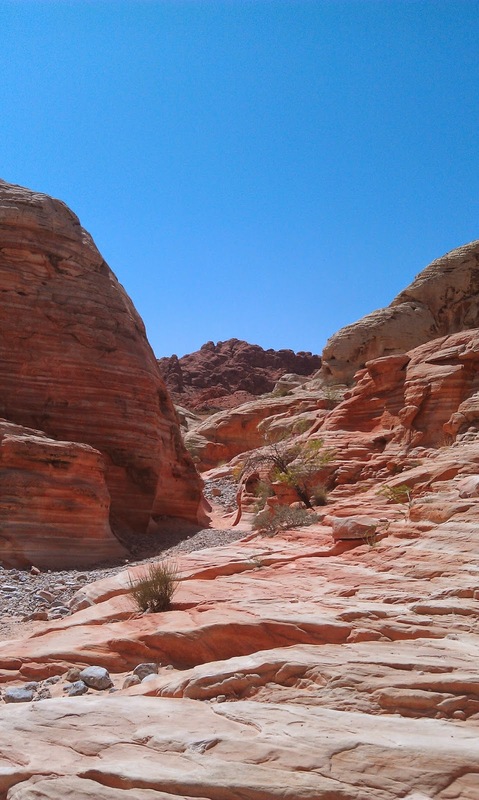 There you will see how the red and white sands merged and made some beautiful rock designs. 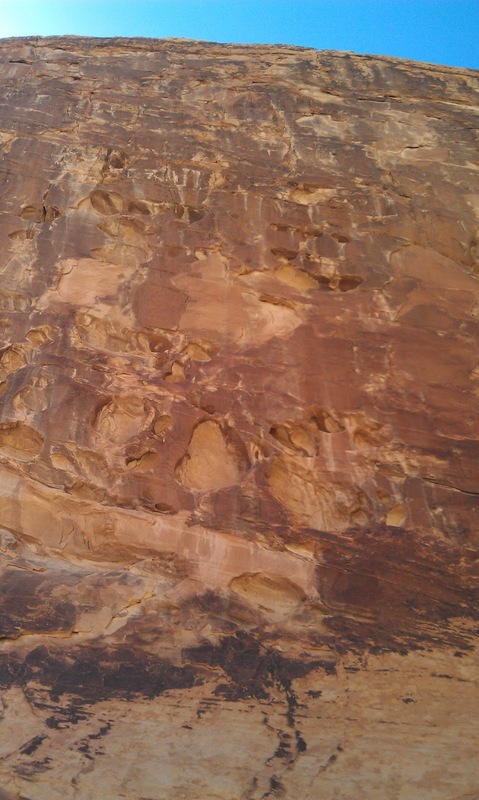 This trail is also slightly technical in the fact that you do have to descend a bit on some crudely made stairs. 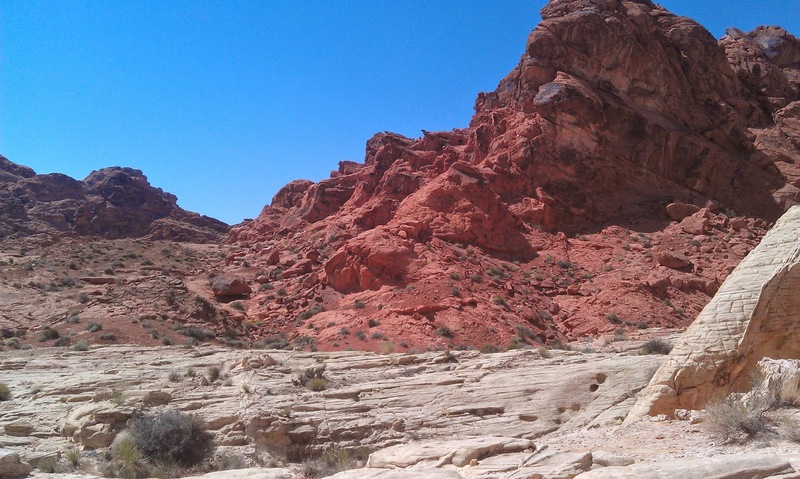 However, after the initial descent it is smooth sailing the rest of the way. 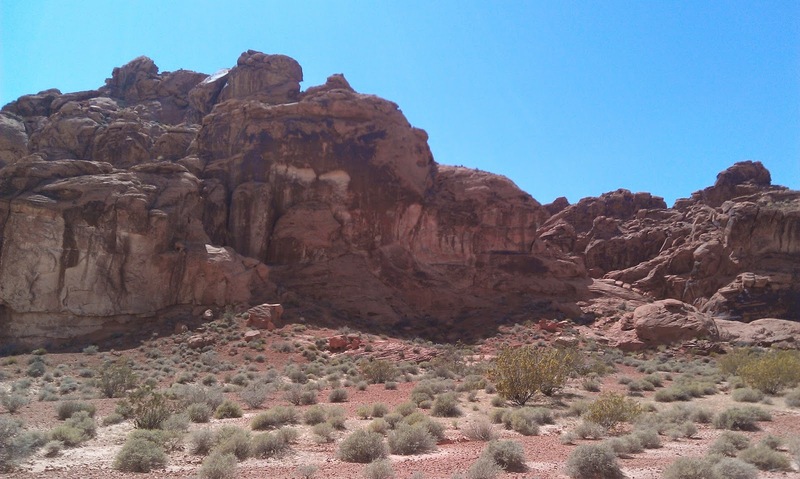 Along the trail you will see a ton of beautiful rock formations and even some remnants of the film The Professionals which was filmed there in the 60's. 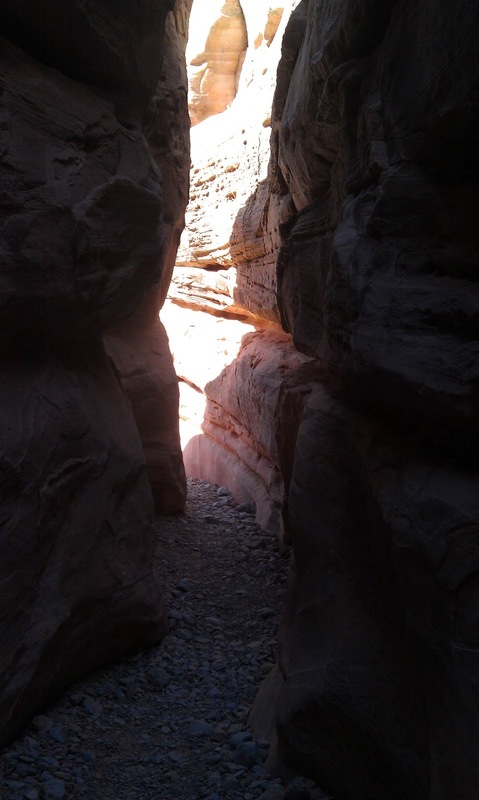 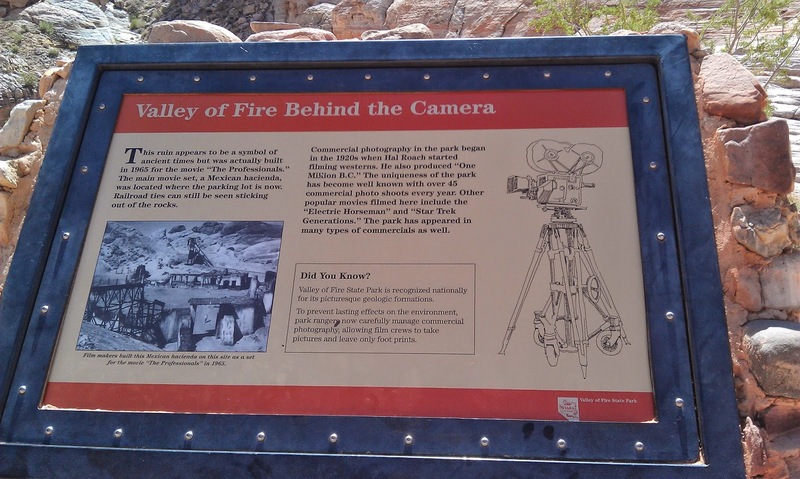 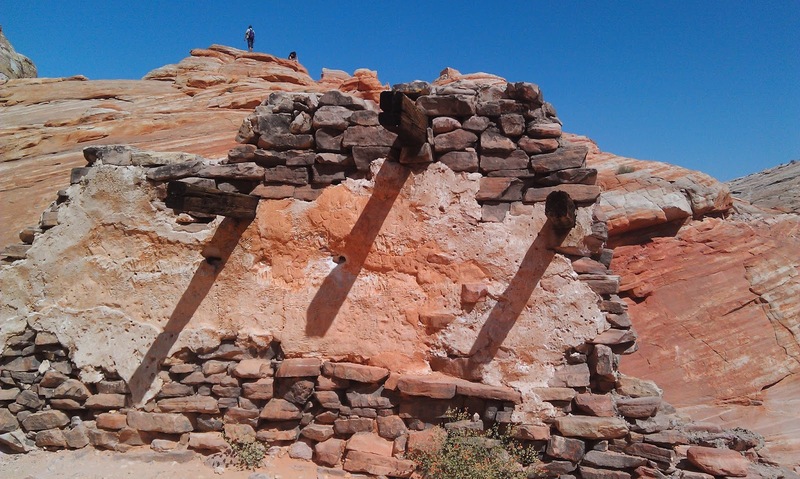 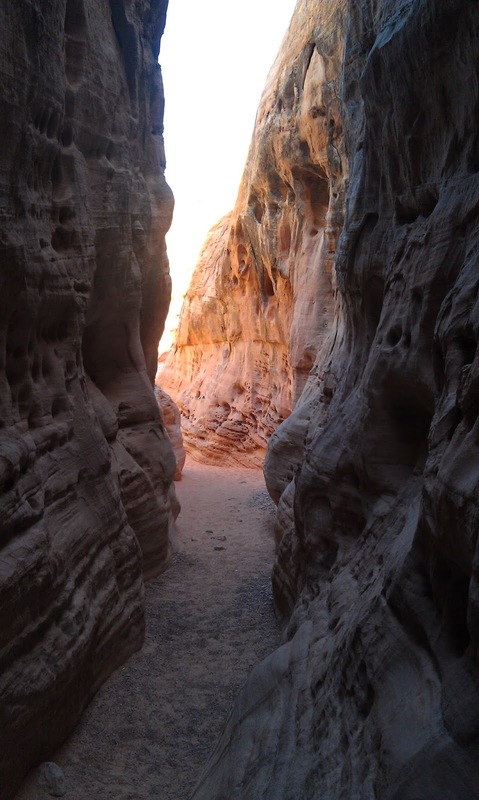 In addition, you do get the experience of traveling through a narrow "slot canyon". 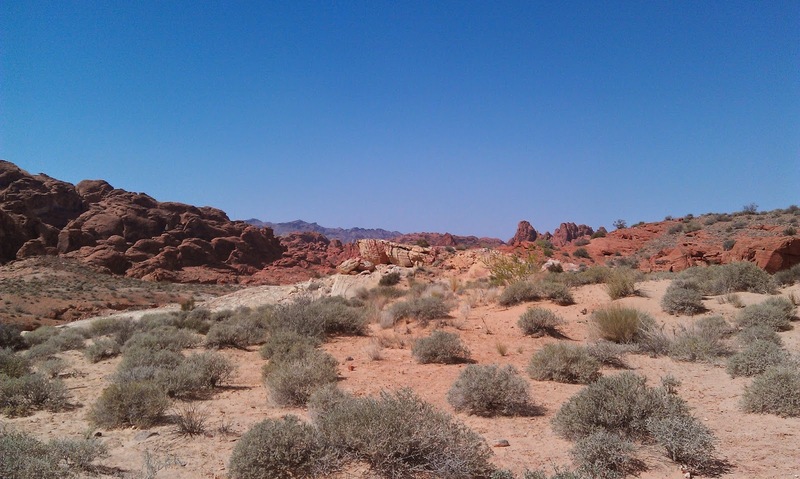 It isn't terribly long, but it is one of the few shady spots on the trail. 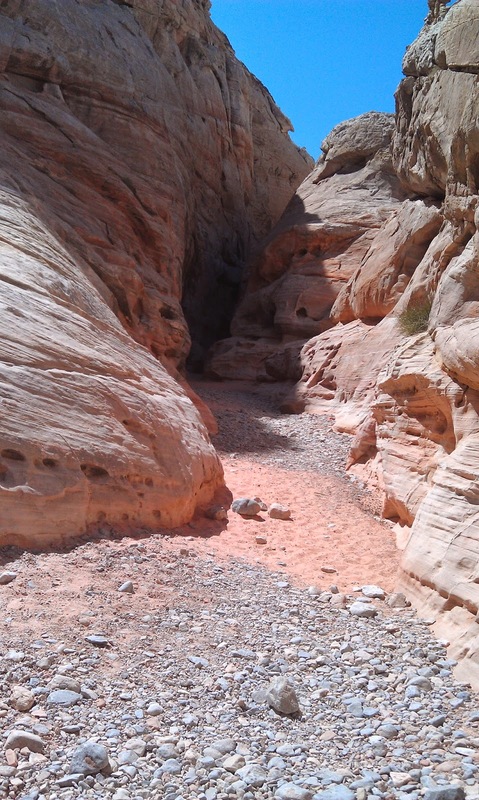 The trail is about a mile long and if you are moving, you can do it in about 15 - 20 minutes. 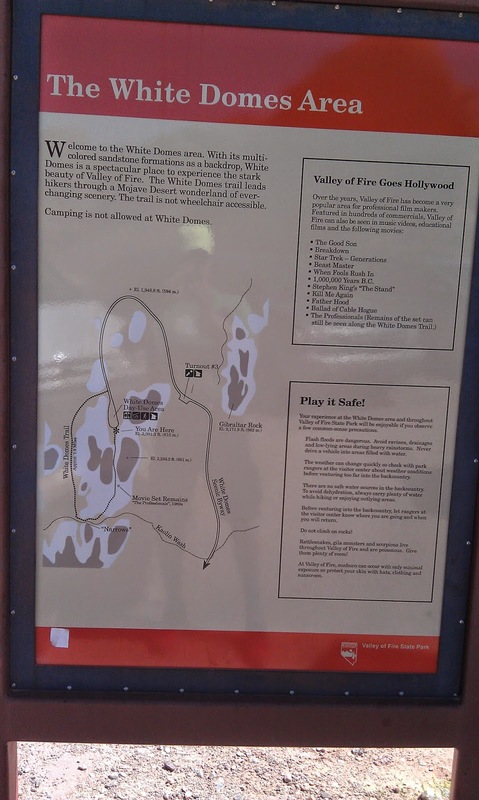 Well worth the visit. 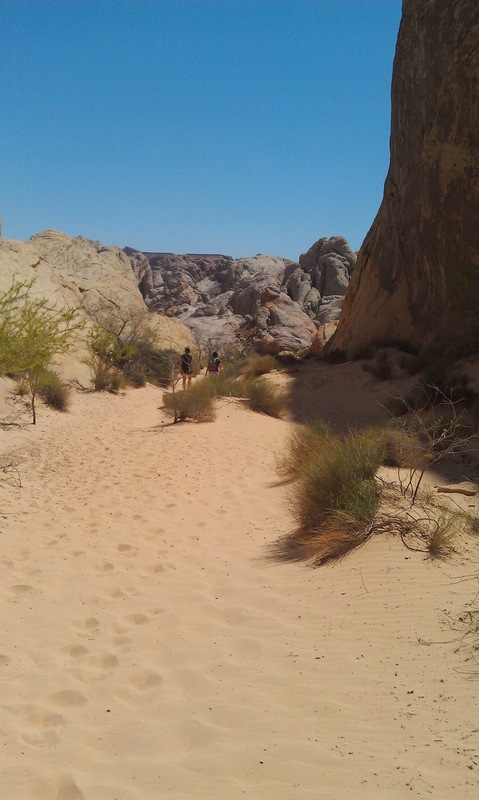 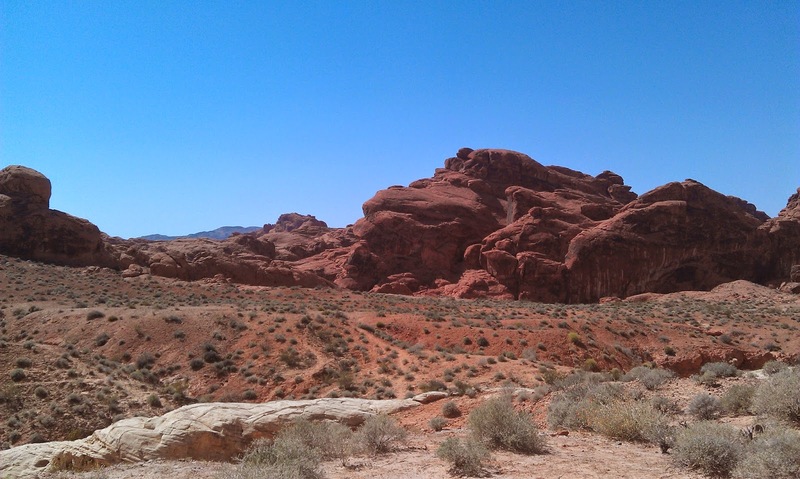 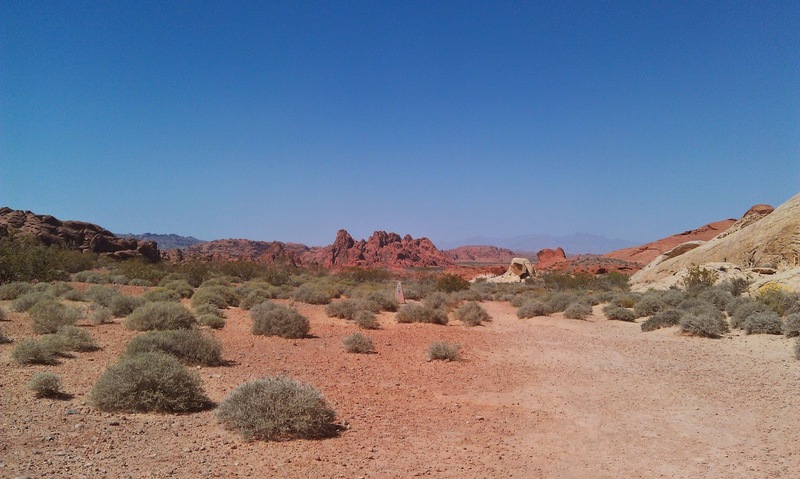 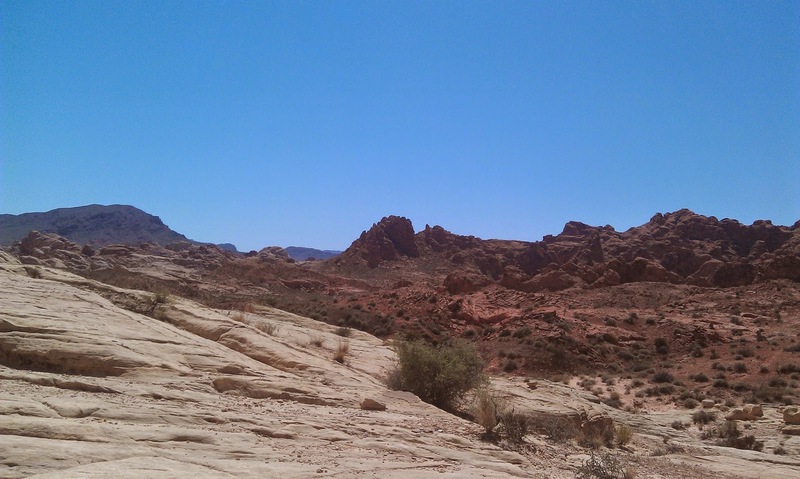 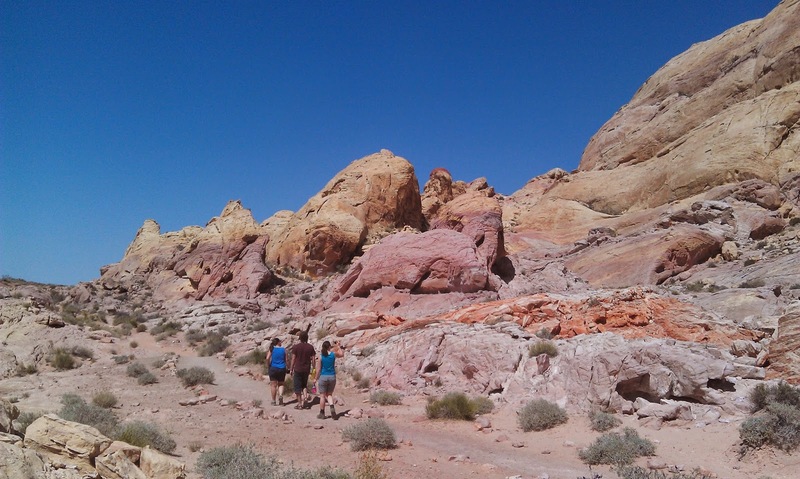 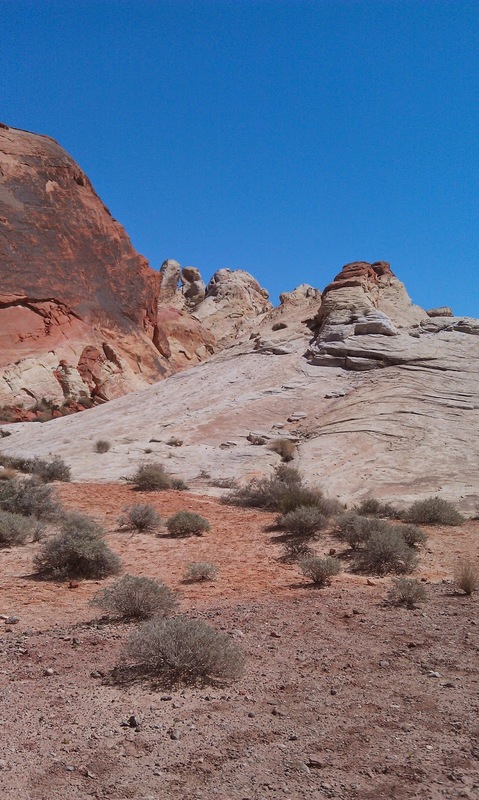 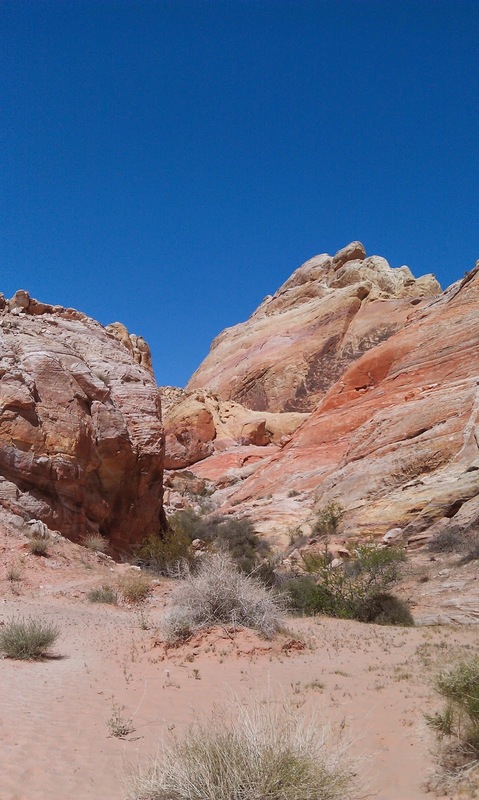 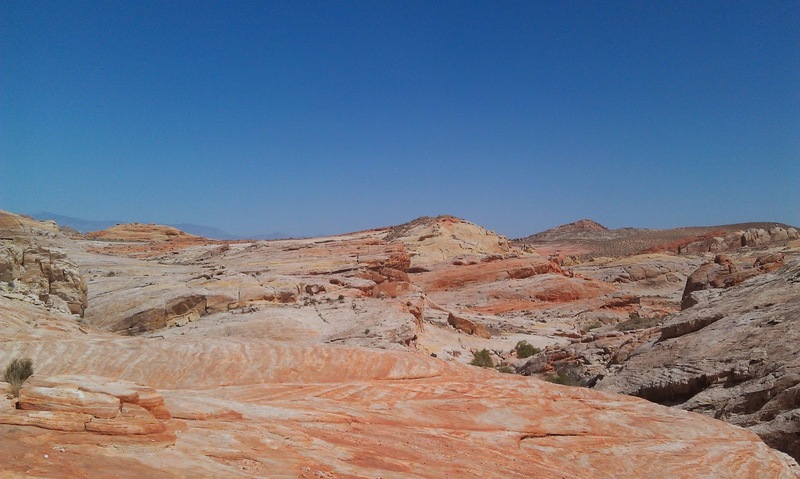 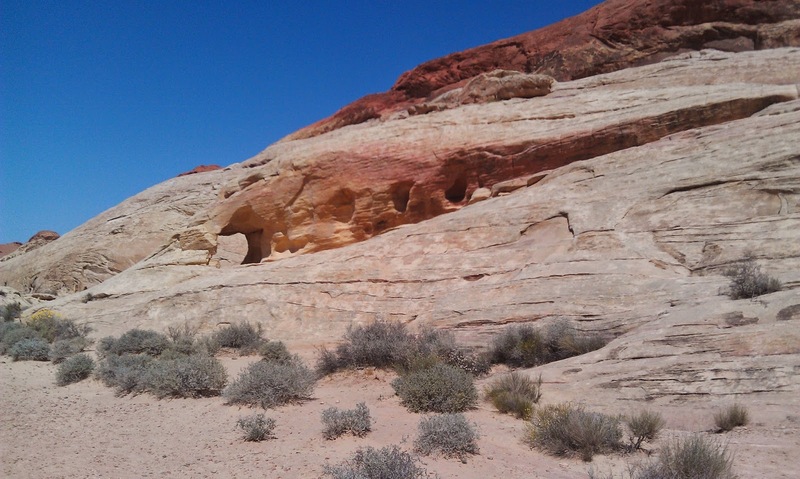 Valley of Fire - White Domes Trail - Like at the Beach! 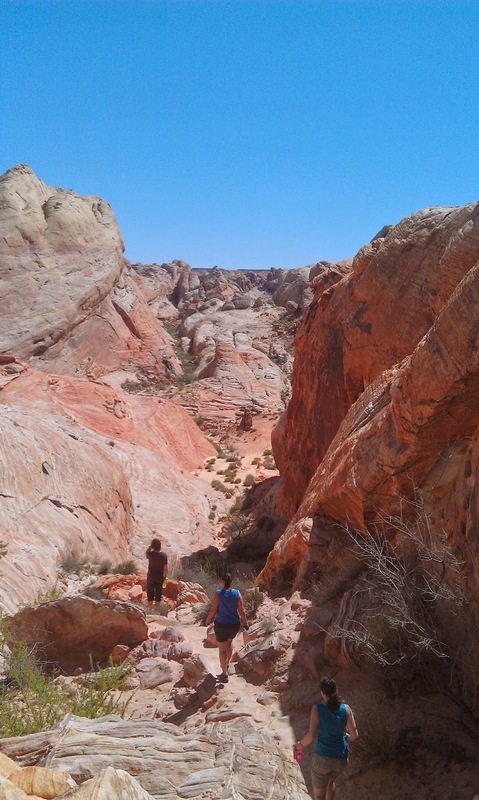 This trail is popular -- no shortage of people on it.